Please join us for the Women In Technology luncheon on Monday, October 24th during the SMPTE annual conference in Hollywood. Kari Grubin (Vice President, Mastering, The Walt Disney Studios) will moderate an engaging conversation with Victoria Alonso, Marvel Studios’ Executive Producer and Executive Vice President of Physical Production. An engaging industry leader, Alonso oversees all physical production, post-production and production technical operations for the Studios. She was executive producer on Captain America: Civil War, 2015’s Avengers: Age of Ultron and Ant-Man, as well as a string of Marvel hits including Guardians of the Galaxy, Captain America: The Winter Soldier, Thor: The Dark World and Iron Man 3. Alonso is currently executive producing Marvel’s upcoming features, including Doctor Strange, Avengers: Infinity War, Thor: Ragnarok and Guardians of the Galaxy 2. Her other credits include Ridley Scott’s Kingdom of Heaven, Tim Burton’s Big Fish and Iron Man. The Women In Technology Luncheon is presented by HPA Women In Post, and SMPTE, and features compelling industry leaders. Victoria Alonso is the Executive Vice President of Physical Production for Marvel Studios. She is currently executive producing Scott Derrickson’s Doctor Strange and James Gunn’s Guardians of the Galaxy Vol. 2. In her executive role, she also oversees post-production and visual effects for the studio slate. She executive produced Joe and Anthony Russo’s Captain America: Civil War, Peyton Reed’s Ant-Man, Joss Whedon’s Avengers: Age of Ultron, James Gunn’s Guardians of the Galaxy, Joe and Anthony Russo’s Captain America: The Winter Soldier, Alan Taylor’s Thor: The Dark World, Shane Black's Iron Man 3, as well as Marvel’s The Avengers for Joss Whedon. She also co-produced Iron Man and Iron Man 2 with director Jon Favreau, Kenneth Branagh’s Thor, and Joe Johnston’s Captain America: The First Avenger. Alonso’s career began at the nascency of the visual effects industry, when she served as a commercial VFX producer. From there, she VFX-produced numerous feature films, working with such directors as Ridley Scott (Kingdom of Heaven), Tim Burton (Big Fish) and Andrew Adamson (Shrek), to name a few. Kari Grubin joined The Walt Disney Studios in 2015 as the Vice President of Mastering for Studio Operations, where she is tasked with developing a long-term strategic vision for Mastering across the title lifecycle. 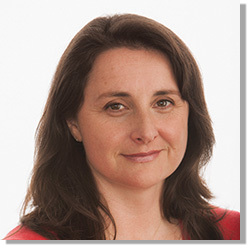 She serves as the technical lead and key contributor to resolving planning conflicts, version control and general performance in the area of mastering. 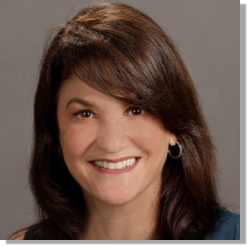 In addition, Kari is the Chair of Women in Post for the Hollywood Post Alliance and has been an active member of the HPA since 2002 as well as SMPTE. Her early career included work in staff positions at Universal Studios Hollywood and as an assistant film editor in the 1990’s, moving to Paramount Pictures Digital Mastering Operations where her last position was Head of Technical Operations. In 2002, she formed Global Entertainment Partners (GEP). As co-owner and General Manager, she grew the company to include 2K/HD Digital Intermediates and Mastering, Dailies services, Library Restoration and Re-Mastering, along with Editorial. In 2006, Grubin and her partner sold GEP to Deluxe Entertainment Services Group. From 2006 – 2013, Kari was Vice President of Post and Restoration for Deluxe Digital Media, a subsidiary of Deluxe Entertainment Services Group. She was responsible for business lines that included Library Restoration and Re-Mastering (4K, 2K, HD), Reality TV Finishing Services, Editorial, Digital Archive migration, Digital Intermediates and Dailies Services. As a member of the Deluxe Executive Team, she collaborated on the end-to-end services for Disney and Fox. Kari also spent two years at NSS Labs as Sales Director focusing on the Entertainment Sector. NSS is the leading information security research and advisory company that is both an analyst firm and testing laboratory, specializing in cyber security. For those not attending SMPTE 2016, you will still have to register for the luncheon through the conference website. Select the registration item "Special Event Ticket Only" and then on the next page, select the ticket "HPA Women in Post and SMPTE Present: Women in Technology Luncheon." If you would like to attend SMPTE 2016, please register for that admission item and then add a ticket for the luncheon on to that registration. If you are already registered for SMPTE 2016 and want to add a ticket to this luncheon, please click "Already Registered?" (at the top right of this page) and enter your confirmation number. Then, click to Modify your registration so you can add a ticket to the luncheon.